This is the back of my team shirt... The splash of numbers and initials are people who are very special to me. Almost all of them are people from Iowa who knew and loved Kari - who have come out to be with us and climb with us. Kari was #13 on her Algona Bulldogs High School volleyball team - the top two rows are Kari's volleyball teammates who climb regularly. (#7 is my Alex, who gave me Mabel, her kidney, in May 2012!). The next four rows of initials are Kari's friends, and people who Kari grew up with... The bottom row are not Iowans - they are people special to me, some of whom have climbed with us, who we've lost over the past years because this transplant thing, and sometimes just life, can be rather fragile. Since we'd started fourteen years ago, I'd tell you in a heartbeat that I never did this to raise money, I do it to tell people about Kari, and about the goodness of organ donation. But, the money Kari's Klimbers has raised over the past years is probably approaching a half million dollars! I know what it's like to struggle for breath - to be afraid of dying... Can you imagine how many people in my respiratory shoes who we've helped??? I hope Kari would be proud of the people we've helped in her memory, and in her honor. research. It gets less press, but lung cancer kills more women than breast cancer, ovarian cancer and cervical cancer combined. Along with Kari - this year our climb is also dedicated to Laura's mom. My beautiful mom-in-law was diagnosed with lung cancer last fall. Much to my Laura's dismay, moms and I were partners in mischief and finding the wrong foods to eat, particularly doughnuts. When she was diagnosed with lung cancer, mom and I had some long chats about options, and the strength it sometimes takes not to fight. She chose to fight. Ironically - the chemo had dramatically shrunk her tumors - it worked. But it was too toxic for the rest of mom and she didn't survive. We climb to fund research so maybe next time - someone else's mom-in-law has a better chance of hanging around and sneaking doughnuts with them. But to me - this climb will always be about Kari, and the beautiful people who surrounded her. And about Alex - one of the people who surrounded Kari who, years later found out I was in trouble, and let me know she had my back. After 12 years of the drugs that allow me to keep Kari's lungs destroyed my kidneys - four years ago Alex gave me one of her kidneys. Can you imagine what it feels like to be surrounded by people who loved Kari that much??? And about those awesome, hot pink shirts... I didn't know Kari... But on Saturday and Sunday I will be surrounded by several people who Kari grew up with - people who knew and loved Kari... And on Sunday, I will be surrounded by over one hundred people who come out to climb with me, and help me honor Kari and her friends... And we will all be wearing hot pink and neon green shirts - the colors picked out by Kari's beautiful niece, Eva Kari - in the picture here with her brother Garrett. I can't even imagine how much Kari would adore her niece & nephew, Eva & Garrett... And I can only imagine how much they would adore Kari... And I think she would be tickled-pink at the colors her Eva chose for this years climb!!! As I'd mentioned, sixteen years ago, standing at the base of a flight of stairs with my oxygen tank weighing on my shoulder – looking up that flight felt like I was at the base of Mount Everest. In my wildest, wildest dreams – I could not have imagined a world where I could stroll up 94 floors of stairs – 1,632 steps – without skipping a beat. I could do it every single, freaking day… Seriously! I can do it because of organ donation. I can do it because of two beautiful girls from Iowa – and the inspiration from dozens of their friends and families. And I can do it because of millions of people, like you, over the years supporting people like me… Thank you. My princess, Laura, used to sleep like a rock. When we met, 28 years ago, she sometimes slept so soundly that my sisters thought there was something wrong with her! For 10 years after our marriage, my cystic fibrosis got progressively worse – as it is prone to do – and 18 years ago I was dying. I was in end-stage cystic fibrosis after struggling for 39 years with $hitty lungs. I was not going to live much longer with the lungs I had. I needed new lungs. I needed a gift from some thoughtful, compassionate person and family. While I waited for that gift – Laura no longer slept like a rock. She always slept very lightly – constantly vigilant and sensing any change in my shallow breathing pattern. I was on oxygen around the clock – and when I was sleeping, she would notice if my oxygen was compromised often before I did – and she would get up and make sure my tubing wasn’t kinked, or the cats didn’t disconnect it – she would make sure it was flowing properly and go back to that light sleep. I don’t think she’s ever recovered that ability to sleep like a rock. It wasn’t easy living like that – for either of us. And Laura was the reason I wanted to continue living – she was and is the reason I struggled and hoped for a better life with new lungs. She has always made my life worth living. My gift came in April, 2000. A beautiful 17-year-old girl named Kari had told her family how strongly she felt about organ donation twice in the month before she passed away. She wore number 13 on her high school volleyball team, where she was a star middle-hitter. I learned about Kari two years after I received her beautiful lungs. Laura and I met her family – they are amazing people… Kari’s mom connected me with dozens of her friends and volleyball teammates. Kari’s beautiful smile is in the background of everything I do. And if all that ain’t beautiful enough – over the past 10 years, dozens of those friends and volleyball teammates that Kari’s mom connected me with have come out to climb with me every February, and continue to do so. Kari's family came out for my 10th climb. Kari wore #13 on her Algona High School volleyball team, and this will be the 13th time I will be in those stairwells. This year #15, #12, #8, #7, #4 & #2 will be in the stairwells with me again... A few years ago my stair climbing, and my life, were nearly cut short after years of anti-rejection drugs destroyed my already-compromised kidneys. But - #7, Alex, Kari's friend, neighbor and volleyball teammate, wouldn't let that happen. Alex gave me one of her kidneys in May 2012. I tell people that I'm slowly being rebuilt into a girl from Iowa! Can you even imagine what it feels to be near Alex and the rest of Kari's friends??? And to have them come out to remember and honor Kari with me??? My team name is Kari's Klimbers and we climb to honor her and the gifts she gave. Though Kari and her friends mean everything to me - in this situation, the reason we climb and fundraise is equally important. And the reason is very important to me… I was diagnosed with cystic fibrosis on the day of my 13th birthday in 1973. In the 70s, I was not expected to make it very far into my teens, much less out of them. I know this did not leave my parents in their happy place - but my mom & dad never showed their distress to me. They fostered in me an attitude that I could accomplish what I set my mind on accomplishing. We did not deny my illness, but they fostered in me my worth as a person and hoped that would drive me more than problems might hold me back. Over the years following my diagnosis – I've watched amazing developments that helped me, and so many with respiratory diseases live longer, better lives. Like the tide raises all ships – these medical advances help all of us struggling for breath… I witnessed life expectancy for cystic fibrosis patients, like me, go to our late teens, then twenties – and now to our mid to late thirties! I'm 54 ¾ – I'm way beyond that. I'm beyond that because of a beautiful, amazing girl named Kari and her family. And further beyond because of Kari's friend named Alex. Fifteen years ago, standing at the base of a flight of stairs with my oxygen tank weighing on my shoulder – that flight may as well have been Mount Everest. In my wildest, wildest dreams – I could not have imagined a world where I could stroll up 94 floors of stairs – 1,632 steps – without skipping a beat. I could do it every single, freaking day… Seriously! I can do it because of two beautiful girls from Iowa – and the inspiration from dozens of their friends and families. And I can do it because of millions of people, like you, over the years supporting people like me… Thank you. If things are tight, just cheer me on, and think about Kari and all of the people involved in saving lives like mine… But, if you can spare a few bucks, please consider opening a purse or wallet and donating to me, my team, or someone on my team, or someone you know doing this climb… I know an awful lot of people struggling like I did. You can help me do something to help them – and help me pay forward the millions who have kept me here on this beautiful planet. Some of you may have seen this moving video that aired on KathyLee & Hoda a couple weeks ago...If not, be warned---grab a tissue. Below is music video compiled by the University of Minnesota's Amplatz Children's Hospital staff and patients. It is set to the song "Brave" by Sara Bareilles, which seems so fitting for the little faces you will see in this short video. At 0:56, you will see a young girl showing you her scars. This is Lanie. She received a kidney/liver transplant on April 28, 2013 and was a patient at U of M for almost 5 months. I've followed her story since transplant, and she is quite the amazing little girl. I hope to share her story on ReviveHope in the future. She is a brave fighter, and such a big inspiration. Thank you to all of those in the medical field who care for and love on children like Lanie! You brighten their days and help lighten the burden their parents carry. WTMX Chicago Radio - National Organ & Tissue Donation Awareness Month Interview! Last Sunday, April 7th, I was interviewed with Allison Smith, Vice President of Operations at Gift of Hope, to speak about organ donation and National Organ & Tissue Donation Awareness week. Her are links to the podcast of our interview. The podcast is titled: Podcast: 04/08/13 – With new lungs and a kidney, Chicagoan Steve Ferkau jokes that he’s slowly becoming a girl from Iowa. Eternally grateful, Steve makes a great case for all of us to become organ and tissue donors. Quite a long title! The podcast is around 25 minutes long – but I think it’s quite a nice interview. Each week, 101.9fm The MIX presents special Public Affairs programming to address the issues and concerns facing the people of Chicago and its surrounding communities. Our locally-produced "MIX Matters", hosted by Susan Wiencek, features Chicago-area officials and experts discussing the issues that affect our community. We encourage you to tune in every Sunday morning between 6:30AM and 7:30AM. 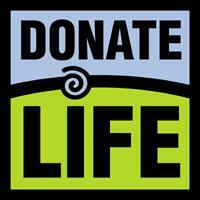 April is National Donate Life Month so if you haven't signed up to be an organ and tissue donor, now would be a good time. And if you're not sure, our guests today might put you over the top. Allison Smith is Vice President of Operations for the Gift of Hope Organ and Tissue Donor Network, and Steve Ferkau is an organ donor recipient, twice over. He jokes that he's slowly being rebuilt into a girl from Iowa but takes very seriously the life-saving gifts of organ donation that he's received.